Madrid (Spain) – October 18, 2018 (travelindex.com) – The World Tourism Organization and Basque Culinary Center (BCC), have launched a pioneering initiative for the gastronomic tourism sector, with a global call for startups or companies, mature or emerging, technological and non-technological, with innovative ideas capable of revolutionizing and integrating gastronomy in tourism and inspiring tourists with new ways and reasons to travel. Basque Culinary Center is a pioneering academic institution worldwide that comprises the Faculty of Gastronomic Sciences attached to Mondragon University and a Center for Innovation and Research, BCC Innovation. It is the first Faculty of Gastronomic Sciences in Spain and the only one in the world with an R&D centre. Its board also features 11 of the world’s leading chefs. The aim of Basque Culinary Centre is higher education, research, innovation and promotion of gastronomy and food, and it is working to promote gastronomy as a lever for socio-economic development through its actions. 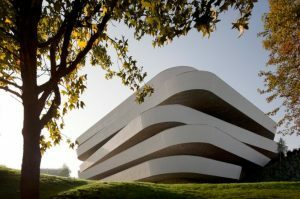 Furthermore, the Basque Culinary Center has created a technological centre for gastronomy, BCC Innovation. Its objectives are to transform knowledge into wealth, drive innovation in companies and to participate actively in the creation of new businesses, thus guaranteeing the future of the sector. BCC Innovation supports entrepreneurs in the development of new business projects.